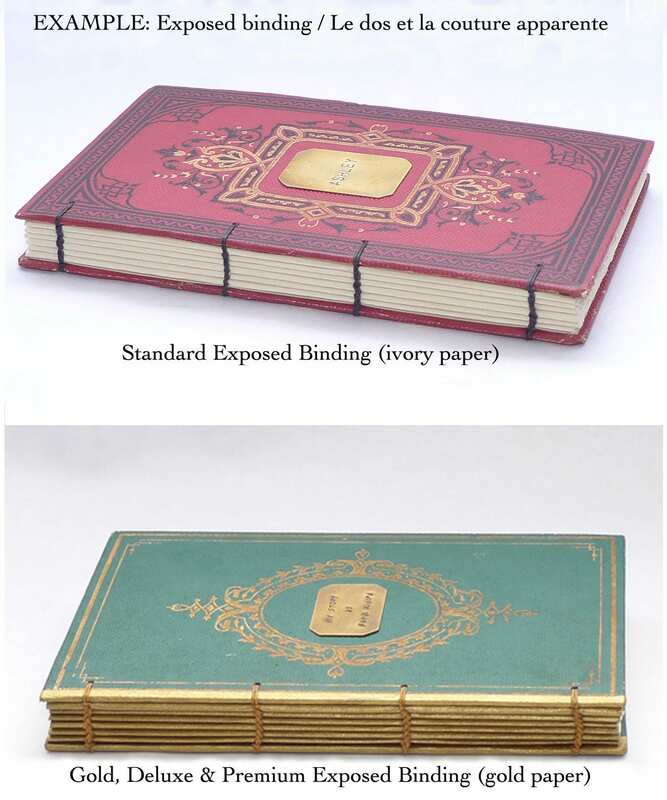 Spellbinderie's custom boho blank books are made from vintage French book covers. 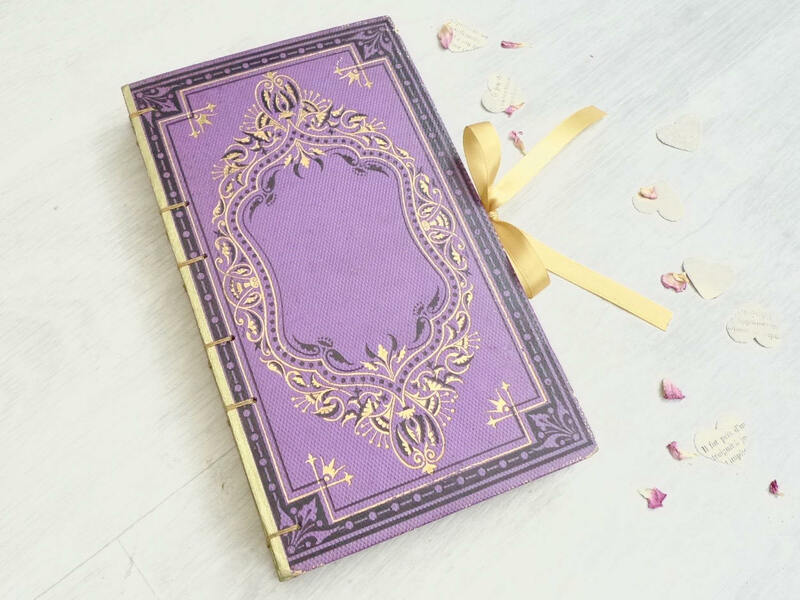 The perfect combination of elegance and old world charm for any special event like a wedding, anniversary or to give as a gift. 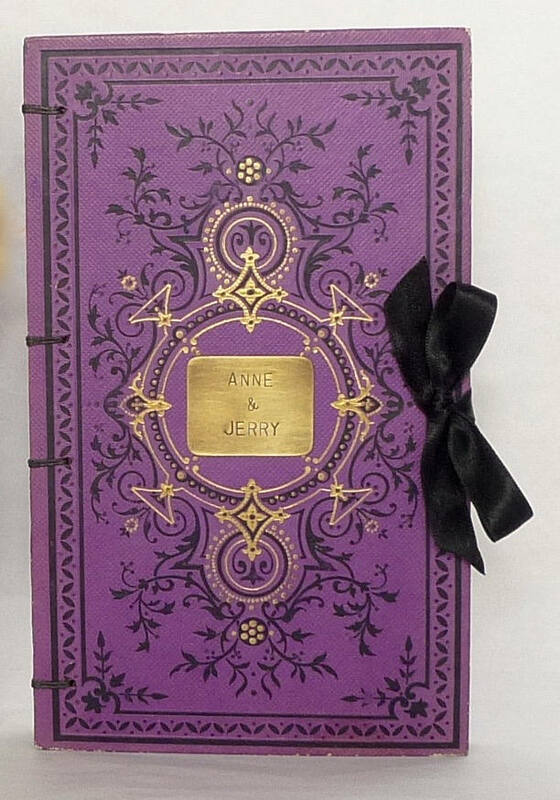 Made for you, choose you cover and add options to personalize your keepsake. Read on for ordering information below. Once a book is sourced for you, choose one of the suggested packages below or request other options by contacting me through the custom order request button. 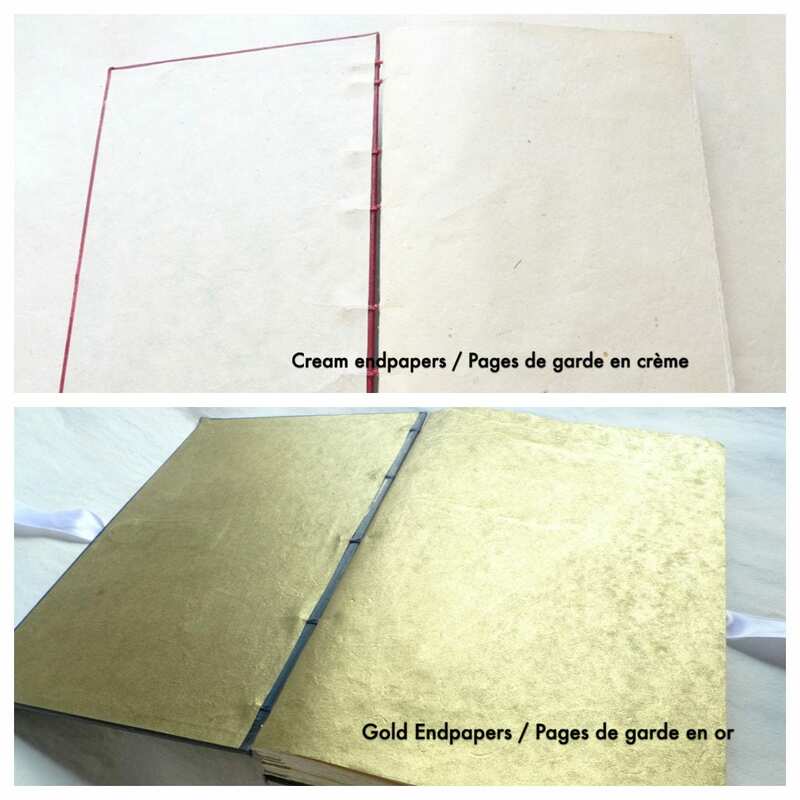 All the above packages are made with 120 pages (counts front and back) of hand-torn paper. 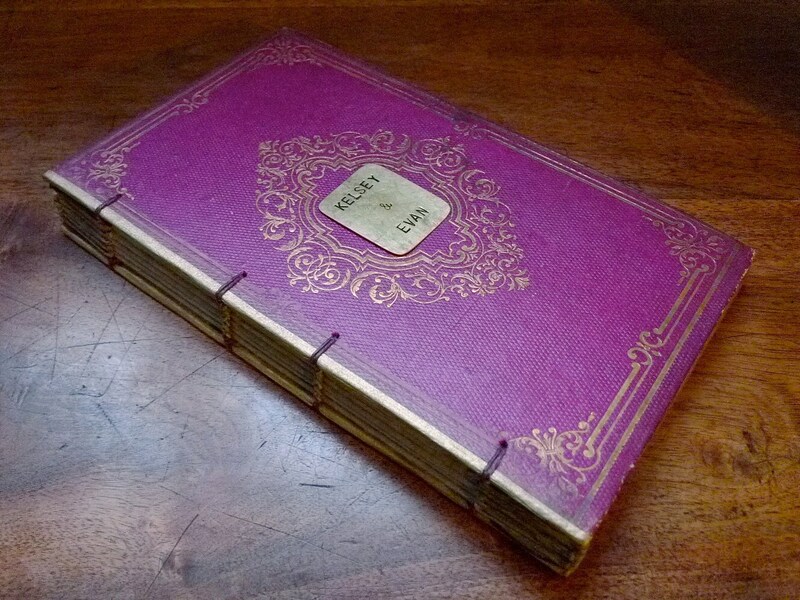 Option to add a ribbon to tie the book closed, as shown in the last sample photo. 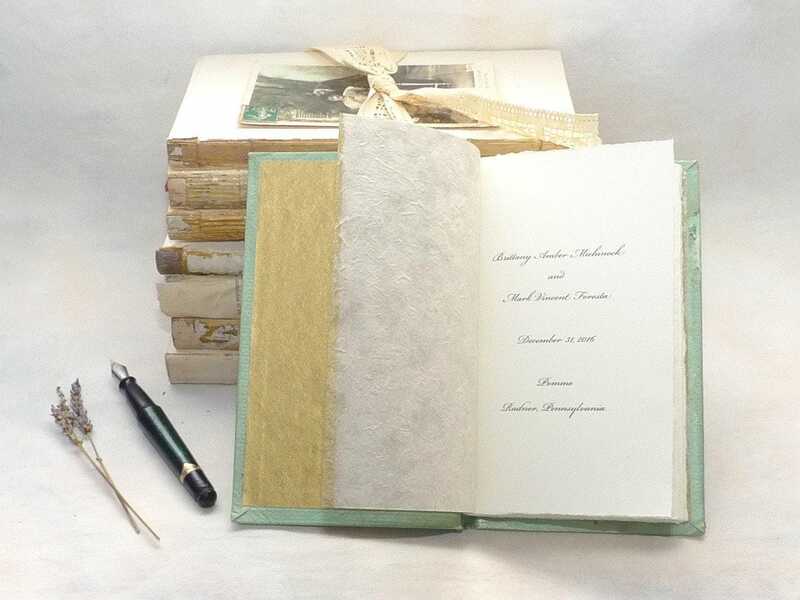 Binding method used allows the guestbook to lay flat, making it easier to write in the book.